1. 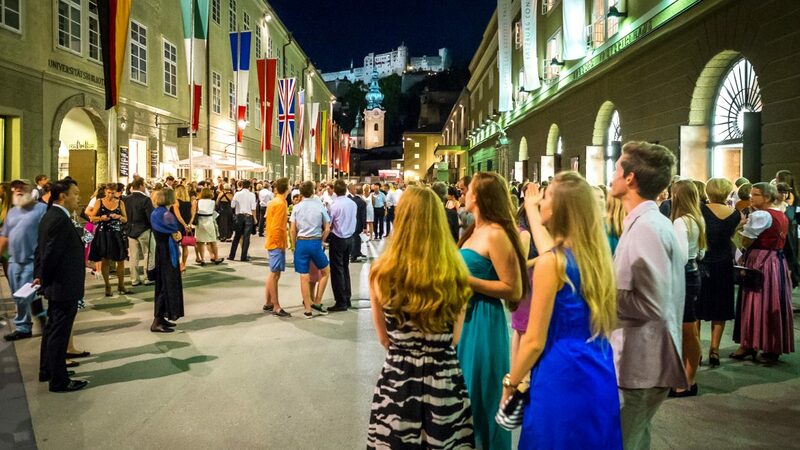 Why is the Salzburg Festival so famous? We can think of a number of reasons. Salzburg has historically always supported culture and music and many international stars have performed here, been trained here or were even born here. Another reason is the Jedermann (Everyman) play by Hugo von Hofmannsthal, which has taken centre stage at the Festival since the 1920s, wowing its audience anew each time it is performed. And then naturally there’s Herbert von Karajan, who was born in Salzburg and went to great lengths to get the Festival at world level. Or maybe it’s simply down to the stunning backdrop of the historic centre, castle and first-class concert halls … There are lots of reasons. It’s a music festival that embraces the great composers and authors of the last centuries. You can roughly divide the performances into three areas. Opera: The brilliant performances at the Large Festival Hall are riddled with stars of the scene. Not just Mozart operas, but also Italian composers as well as modern pieces are performed here. Drama: “Everyman” is the Festival’s main pillar and is accompanied by Austrian authors such as Thomas Bernhardt, also born in Salzburg (main focus in 2016) and international names such as Shakespeare and Samuel Beckett. Concert: Solo recitals, chamber concerts, matinées and orchestral concerts. Classical music forms the largest part of the Festival. The Vienna Philharmonic Orchestra is one of the best orchestras on the world stage. There is also a constant stream of many other great names playing at the many venues around the city. 3. Where do they play? Festival district: Most of the Festival take place in the heart of the historic centre. The Festival Hall, the Felsenreitschule and the Haus für Mozart take on the lion’s share. Then there’s the traditional Everyman performances in front of the cathedral (or at the Festival Hall if it’s bad weather) and concerts at the Collegiate Church, St Peter’s Abbey and even the cathedral itself. There’s also a lot going on at Republic nearby, the Mozarteum or the auditorium at the Faculty of Catholic Theology. Or visit the Festival’s amazing outpost at Perner Island in Hallein. 4. Tickets – A festival for Everyman? In Austria, Everyman is every person as well as the centrepiece of the Festival. So, the answer to the question has to be “yes” in both instances. Tickets for the premiere are not always affordable, but most of the concerts and operas definitely are. Or try and get remaining tickets for the Everyman performances, which are even less expensive. And if you want to visit the Festival but are on a low to no budget, then don’t miss the Siemens Fest>Spiel>Nächte behind the cathedral. As you can see, the Festival is undoubtedly a festival for Everyman. Order you tickets here. 5. What are the Whitsun and Easter Festivals all about? In addition to the big festival in summer, you can also visit the Easter and Whitsun Festivals. It’s all due to Herbert von Karajan, therefore originating from the Salzburg Festival. However, they take place on different dates (obviously) and are separate entities. Some productions (especially operas) that are shown at the two smaller festivals are adopted by other opera houses as well as the summer festival later on. 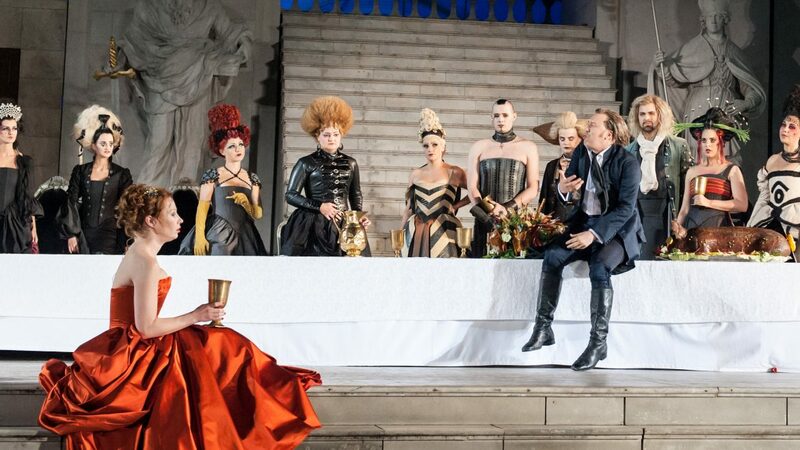 Both events are, however, a lot shorter and more elitist than the Salzburg Festival, which lasts six weeks. Now that the most important questions have been answered, all that’s missing is you. Expect a unique classical music festival. Don’t forget to take a look at the accommodation list.